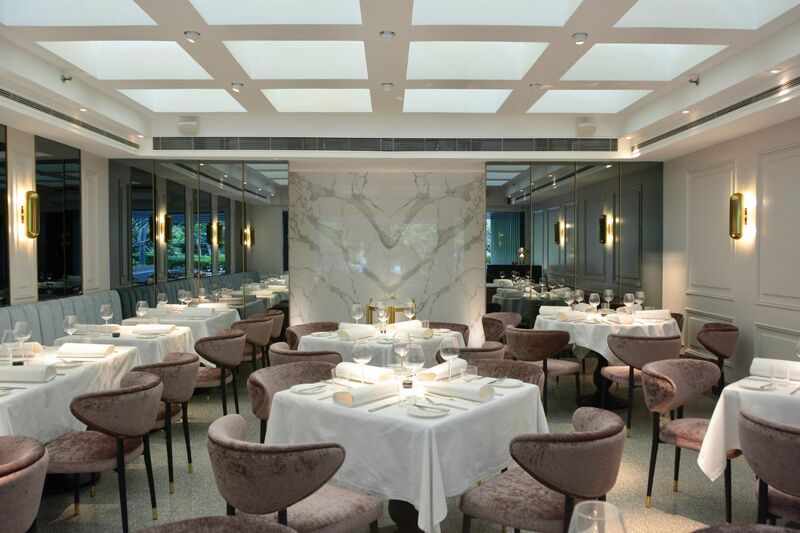 Chef Colin Mackay’s Makati outpost recently underwent renovation, and the results are suitably luxurious. Marble walls accented with gold sconces add a sophisticated touch to the space, while mirrors give the main dining room an expansive feel. Diners are bound to enjoy their meals in great comfort as they take their places upon plush banquettes and velvet-covered chairs. It’s a restaurant where one gets a stupendous look at the city below as a precursor to a meal. Likewise, guests can enjoy panoramic sunsets together with sundowners mixed to order at the bar. Stunning light fi xtures in glass and metal and sleek modern furniture serve to evoke a sense of urban elegance. Modernity also has a place in the cuisine with updated versions of Asian favourites like Hainanese chicken rice. As one of Cebu’s finest restaurants, The Pig and Palm is best known for the way Jason Atherton has brought tapas into the 21st century through a unique interplay of local and foreign ingredients and techniques. But the cool, minimalist feel of the restaurant also draws in a crowd: grey stone tiles play against the sheen of wood panels and the texture of leather under soft lights that welcome diners into the space. The richness of polished wood and smooth, dark leather give the impression of refined and elegant masculinity as one enters Sage. With its plush, comfortable couches and dark lacquered surfaces, the interiors call to mind an old fashioned library in an English manor—an image bolstered by the way the restaurant’s wine chillers are built into the walls like bookcases. A menu that features manly favourites like robust beef tartare and meats hot off the Josper grill is certainly apt in this setting.